Oats have been cultivated in the past mainly for grazing purposes and hay production. Grain production of oats makes a limited contribution to the developing breakfast cereal market, with the majority of grain produced used in the animal feed market. Human consumption of oats is currently the only organized market, with competitive grain prices being paid for a product with suitable grain quality. There are however other attributes of oats that are of importance. The introduction and expansion of no-till practices and reduced cultivation systems necessitate the use of suitable cover crops to achieve significant ground cover. Oats is suited to this scenario due to the wide planting spectrum, wide adaptability and high biomass production, and can be planted with available cultivation equipment. Furthermore, oats have a depressing effect on soil-borne diseases, like take-all, in these crop rotation systems. Oat grain is widely used by horse owners and other producers in feed mixtures. Well-fertilized oats produce high-quality hay and grain with a high nutritional value. Oat grain that does not qualify for suitable grades due to low hectolitre mass values, is also utilized in the animal feed market. Oats plays a significant part in a balanced grazing availability program, with several cultivars suited for this purpose. The wide adaptability, nutritional value and regrowth characteristics of oats ensures available grazing over an extended period. Planting for this purpose can start in February and continue up to July. For hay production under irrigation, cultivars can be planted from March to June at a seeding density of 50 kg seed/ha. SSH 421, SSH 423, SSH 491, SSH 4185 and SSH 4186 can be planted from May to June at a seeding density of 70 - 100 kg seed/ha. The local consumption of oats for processing in the cereal market is approximately 40 000 - 50 000 ton. Due to the low quality of oats grain produced (mainly of a low hectolitre mass), a major part of this local grain production is not suited for commercial processing and the requirement of the market is filled via imports. Local cultivars, however, like SSH 491 and SSH 4185 have the potential to produce the required yield and quality oats. The quality standards applied at present are directly related to the processing of the oats seed. To develop an understanding of these standards it is necessary to briefly note the most important processes through which oats goes during processing. Firstly all impurities and foreign material such as chaff, stones, weed seeds, wheat and barley are removed. The groats or kernel is the economically valuable part of the grain, while the hulls have no commercial value. The hulls are removed by two rotating milling stones that are set fractionally closer to one another than the thickness of the grain, and literally, rub off the hulls. It is thus understandable that the hulls of twin oats cannot be removed and that naked oats will be damaged in this process. After this process, the oats undergoes specific processing for the purpose for which it is needed. Large and well-filled groats/kernels are in big demand by the processors and hectolitre mass is an indication of this quality aspect. The minimum hectolitre mass depending on the grade is shown. 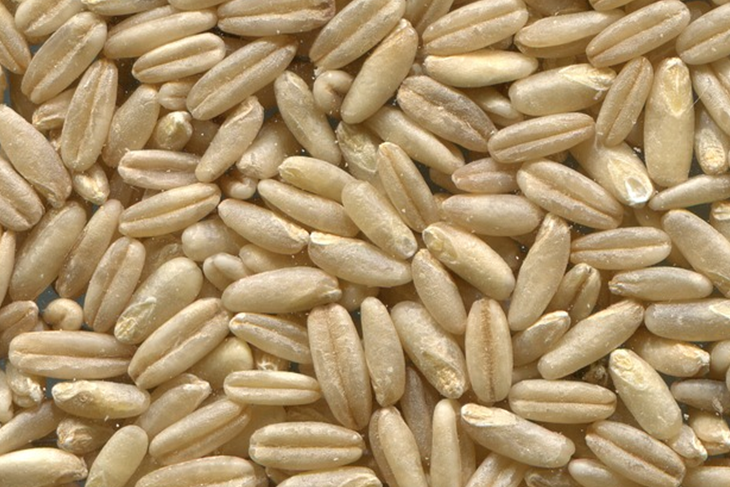 Just as in the case of wheat and barley, the hectolitre mass of oats is determined during the grain filling stage. Abnormal leaf senescence prior to or during flowering and grain filling due to malnutrition, diseases or stress, causes low hectolitre mass. The deficiencies must be corrected before the flag leaf stage to ensure a positive effect on hectolitre mass. The oats kernel is enclosed by two hulls that are worthless to the industry. More groats and little hull are thus required and processors require no more than 30% hulls against 70% or more groats. This characteristic is generally also reflected in the hectolitre mass and is environmentally, as well as genetically determined. In shrivelled oat grain, the hulls make out a greater percentage of the groats: hull relation and in this case is undesirable. During processing the oats grain is sieved into different class sizes. This process is done very accurately, as an important quality component of the end-product relies on the effectivity of the sieving process. The largest seeds are more desirable, while the smallest grains are generally worthless. Uniform seed size is thus ideal. As the largest seeds ripen first and tend to fall out first, it is important not to delay harvesting. Twin oat grain often occurs. This characteristic is cultivar specific but can also be the result of environmental conditions and the harvesting process. Twin oats are undesirable as they go through the sieving process as large seeds and are later separated as two small oat grains that later cannot be dehulled. The harvester must thus be set in such a way that a minimum of twin oat grains is harvested. Naked oat grains are the grain of which the hulls have been removed in the harvesting process and are totally undesirable as they are separated into the small and medium seed sizes in the sieving process and are then ground, not dehulled in the dehulling process. The adjustment of the harvester is thus critical and requires special and specific attention by the producer. As with wheat, planting date, fertilisation, pest and weed control, timely harvesting and correct adjustment of the harvester is of critical importance to produce grain of high quality. Locally available oats cultivars do have the potential to produce suitable quality grain and this potential must be utilized. General production practices for oats in the summer rainfall area are similar to that for wheat production. Irrespective of the crop rotation system followed, the main aim is to accumulate the maximum amount of soil water, alleviate compacted soil layers and prepare a seedbed that will ensure good germination and seedling establishment. Planting activities of oats are similar to those of wheat with regard to planting depth and row widths used. The standard seed treatments against seed-borne diseases must be applied in grain productions, while it is optional in grazing and hay productions. The producer must decide on the end-market for the production, that being grain, grazing or feed. Cultivars more suited for grazing and hay production have different characteristics, and a cultivar for grain production must be chosen in correspondence with the needs of the buyer and end-user of the product, but also fits into the production system of the farmer. Once this decision has been made, plant the chosen cultivar and optimise all production practices. Use certified seed to ensure that the correct cultivar is planted according to the proposed end-user, and to ensure good germination and seedling establishment. Under irrigation target plant population (plants/m²) for the early planting is 175 - 200, for plantings in the middle of the spectrum 200 - 275 and for late plantings 275 - 350. Depending on the specific seed lot and thousand kernel mass the seeding density can range from 60 - 100 kg seed/ha. The seeding density for dryland plantings is 25 kg seed/ha. The planting spectrum is based on available data. Plantings outside this spectrum are at own risk after assessing the possible production risks. Oats generally have similar soil requirements as wheat with regards to the macro and micronutrients (Fe, Cu, Zn, Mn and Mo) that have a major influence on production. Soil acidity levels of (pH 4.8 to 5.5 (KCI)) are regarded as being optimal. Oats are more acid tolerant (up to 15% acid saturation) than wheat, but less saline tolerant than wheat and barley. Nitrogen management of the oats crop is determined by soil and nutrient management strategies including the previous crop, soil water availability, soil nitrogen availability, yield potential, the risk of lodging, the timing of nitrogen applications and nitrogen sources available for use. For hay production under irrigation 100 kg N/ha is recommended, with an additional 25 - 50 kg N/ha after each grazing and/or fodder harvest depending on the level of production. For grain production, the general recommendation is 90 kg N/ha, 25 kg P/ha and 20 kg K/ha for a grain yield potential of 4.5 ton/ha. The general guideline is 20 kg N/ton grain for soils with a low organic carb content <3% and of high-quality residue are available for utilisation, apply 30 kg N/ton grain yield potential. Phosphorus is important especially early in the growing season for the establishment, while sufficiently available potassium can reduce lodging and ensure uniform ripening. Under dryland conditions in the high rainfall regions, a general recommendation of 40 kg N/ha, 10 kg P/ha and 10 kg K/ha (optional) is used. A maximum of 20 kg N/ha or a total of 50 kg N+K/ha can be seed placed safely and higher applications must be banded away from the seed. The phosphorus fertilizer recommendations (kg P/ha) at the yield potential levels and soil analysis value (mg/kg P-Bray 1), as well as the potassium fertilizer recommendations (kg K/ha) at the relevant yield potential levels and soil potassium analysis value (mg/kg K) currently used for dryland wheat production can also be applied for oats production. Keep in mind that the yield potential of oats is lower compared to that of wheat under both dryland and irrigated conditions. The same fertilizer recommendations can be used for grazing plantings, with the option of additional N applications after grazing events combined with rainfall occurrence. Oats is susceptible to crown and stem rust, and to “Barley yellow dwarf virus” which is spread by aphid infestations. It is economically viable to control diseases at yield potential levels above 4 ton/ha. Diseases generally lower the kernel weight and hectolitre mass, and discolour the grain, resulting in downgrading of the product resulting in a lower price per ton grain. Under movable irrigation systems and supplemental irrigation applications, the current recommendation is five irrigations during the growing season if production is started on a full soil profile. These irrigations are applied at 5-leaf, early stem elongation, flag leaf, flowering and during the grain filling stages. Under centre pivot irrigation systems, a similar irrigation management program as for wheat is used. Irrigation during the later growth stages tends to disrupt uniform ripening, thereby delaying harvesting. Similar to the other small grains, oats are susceptible to high temperatures and water stress during grain filling, and these necessitate well-timed and effective soil water management. Oats can be harvested at a grain moisture content below 20%, but can only be stored safely at grain moisture below 12.5%. Shattering in the field can be a problem, and rain during harvesting can discolour kernels, resulting in downgrading of the crop. There are various options (including cleaning and sieving) to improve grain quality parameters, especially hectolitre mass, to attain better prices per ton of grain. Grasses in oats production can be a huge problem as it cannot be chemically controlled, and these grasses and volunteer wheat must be controlled beforehand especially if take-all depression is one of the production objectives. Lodging of the crop causes yield losses and non-uniform ripening and hence difficulties in timely harvesting and can result in reduced grain quality. Lodging can be managed by cultivar choice, seeding density and nutrient management. In particular, seeding density is a major factor with regard to the incidence of lodging. Because of the lower kernel weight of oats seed, lower seeding densities (kg seed/ha) are needed to achieve target plant populations. Cultivars also differ in tillering capacity that can influence seeding density for a yield target. Bird damage is also a limiting factor in some areas.